When it comes to pizzas, I’m pretty picky. There are only a few great places that serve up a proper slice in Newcastle, and in my opinion they are: Pasqualinos, Slice (in Grainger Market) and of course, Cal’s Own. 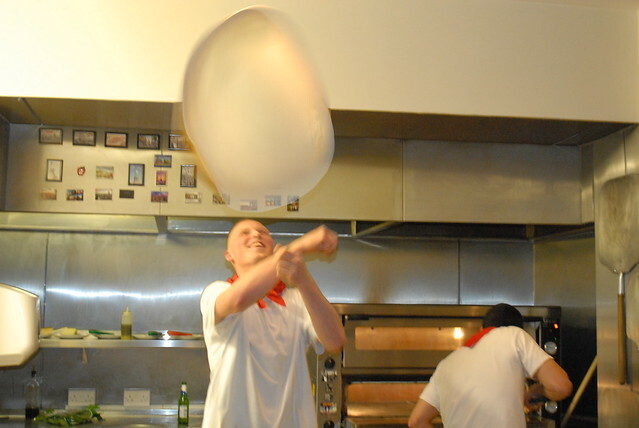 Nestled in Heaton, just outside the city centre, Cal’s Own is a Brooklyn style pizza place serving up the best 18 inch pizzas you will taste this side of the Atlantic. 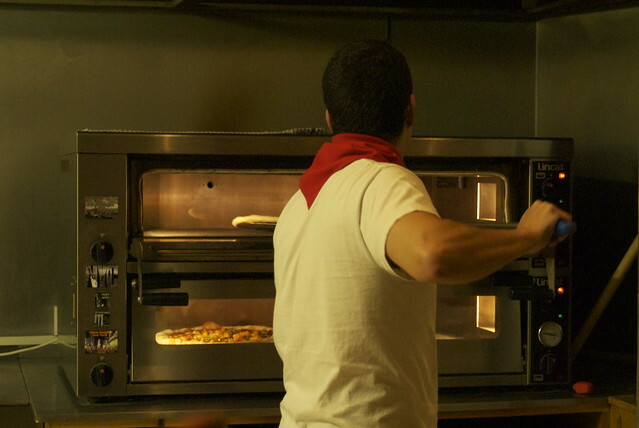 Respecting the art of his craft, Cal offers a selection of super thin, crispy pizza and pizza pie loaded with a delicious range of toppings. Since last week marked the first birthday of Cal’s Own, I couldn’t resist coming along to the pizza party to enjoy a few slices. 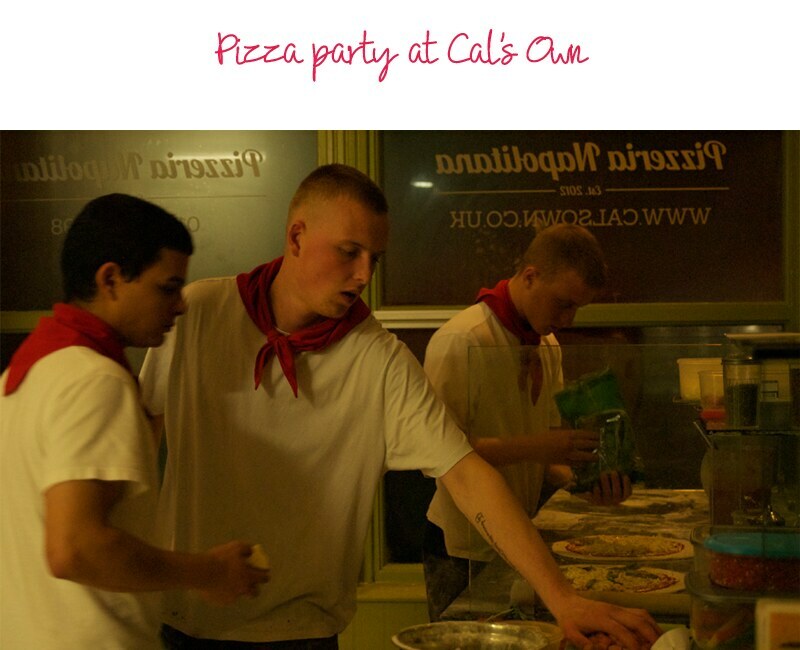 Unlike the ‘deep pan, slightly soggy and smothered in cheap cheese’ kind that you inevitably find yourself eating in the early hours of the morning after a heavy night out, the pizzas from Cal’s Own are close to perfection. It’s the kind of pizza you don’t want to eat with a fork. The sort you share with friends, folded in half and lowering it into your mouth to stop it spilling all over your chin, and gossiping in between huge bites. The first time I visited was on a lunch time with a couple work colleagues from Precept. 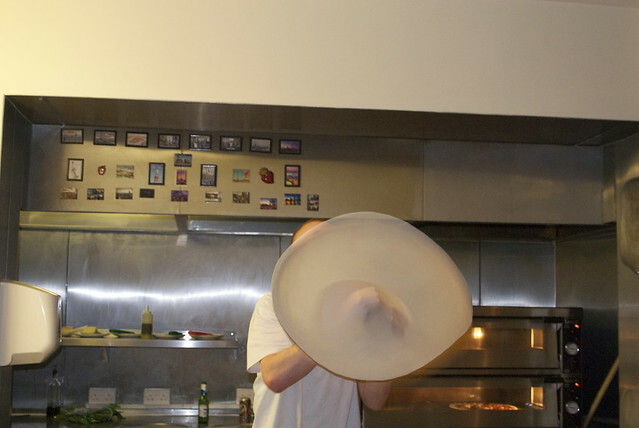 After we’d ordered, one of them was moaning on saying he couldn’t understand what would be so special about a pepperoni pizza. When it arrived in all its 18 inch glory, he shut his mouth, instagrammed it, then dove straight in. He didn’t need any convincing of how good it was, even before the first bite. When I visited Rome (a long time ago), I can remember being surprised by how many places served pretty plain pizza. Luckily, as I’ve got older and wiser, I’ve learned that really good pizza sometimes doesn’t need to be laced with toppings. Sometimes just a good tomato bases and a few generous globs of buffalo mozzarella are really all you need. 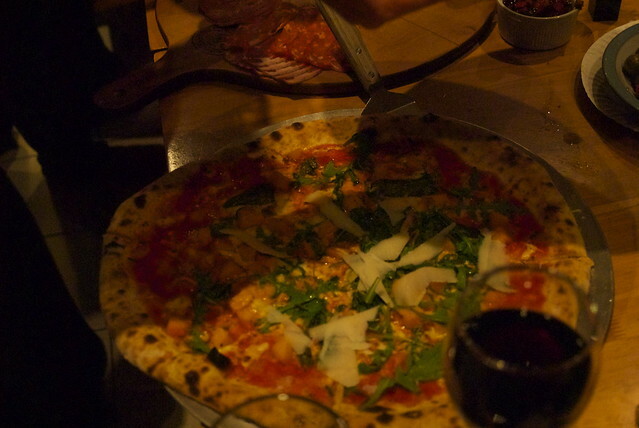 And rather tellingly, a lot of the pizza on Cal’s menu, isn’t overloaded with a confusing array of flavours. Instead he keeps things simple. 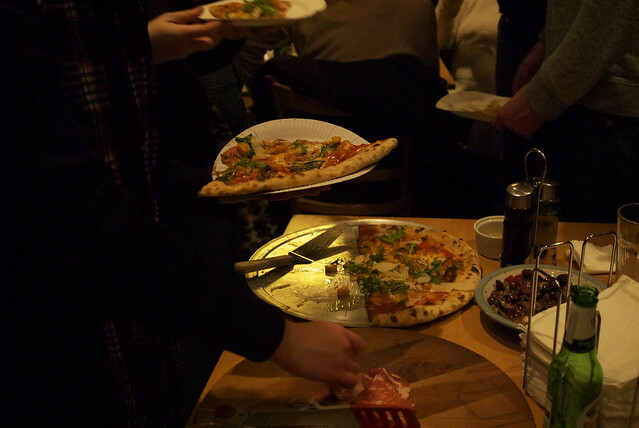 Although, if gourmet pizza covered in a range of exotic toppings is what you’re after, Cal serves up slices with the likes of truffle oil, posh Venetian cheese, spicy sausage, pancetta and more. With a BYB policy and a pretty reasonable £1 per person corkage, it’s the perfect place to unwind with friends while stuffing your face. Just promise me you’ll go try it. Not made it to Cal's yet but it's on the list … it looks SOOOOOOOOOO good! Every time you post about a food place I just want to jump in the car and embark on a road trip! This place sounds fantastic, and I'm determined to actually try pizza pie at some point!